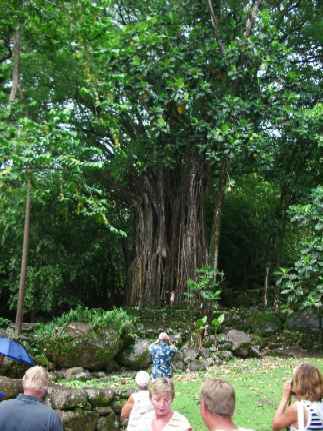 He said there was an eerie similiarity to sprawling Banyan trees found on Earth. 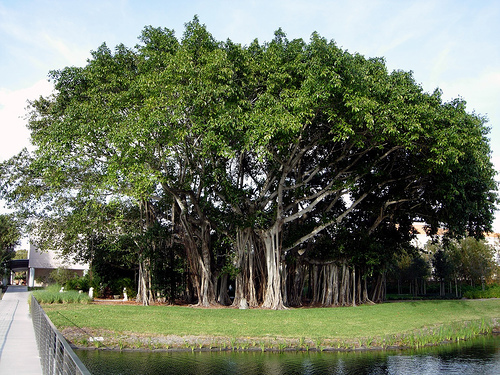 Older banyan trees are characterized by their aerial prop roots which grow into thick woody trunks which, with age, can become indistinguishable from the main trunk. The fictional character Robinson Crusoe built his treehouse in a Banyan. 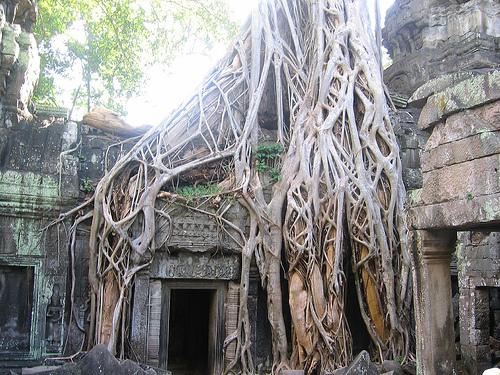 Banyan trees are known to encompass entire structures such as in the ancient ruins of Ta Prohm, Ankor, Cambodia. 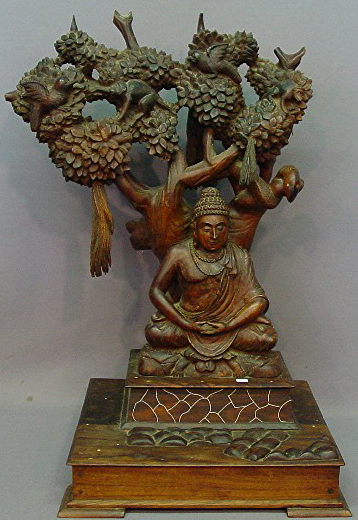 cutting from the original tree under which Buddha became enlightened in the 6th century BC. The following Arthur C. Clarke interview is from this Popular Science Magazine article. 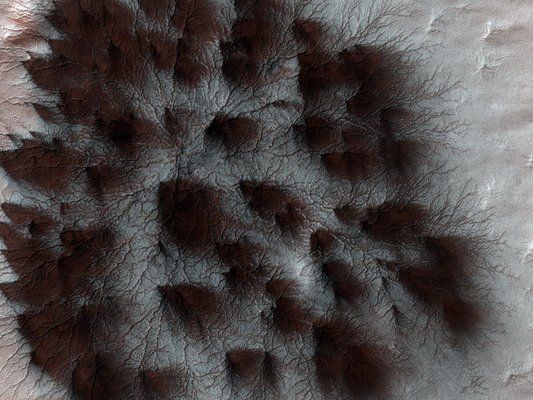 Popular Science: What makes you so confident there is life on Mars? Arthur C. Clarke: The image is so striking that there is no need to say anything about it -- it's obviously vegetation to any unbiased eye. Popular Science: What about animal life? Arthur C. Clarke: If there is vegetation, it seems probable there are other life-forms as well. Popular Science: Few experts agree with you. Arthur C. Clarke: Remember how a certain Astronomer Royal said that space flight was 'utter bilge'? Popular Science: Why are you so passionate about this? Arthur C. Clarke: Because nothing could be more important than the discovery of other life-forms. It's getting lonely down here. 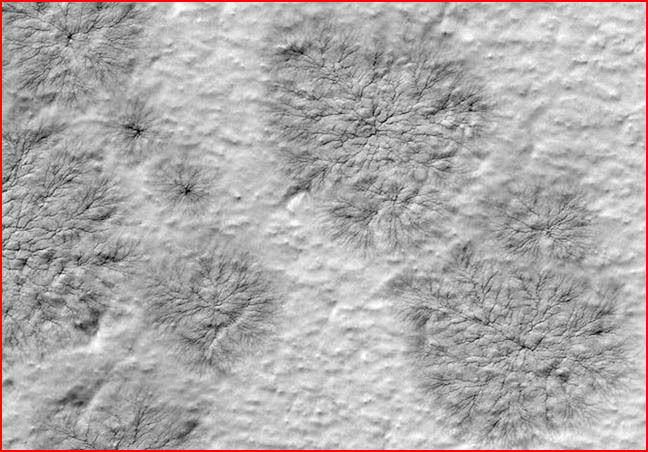 Above is a March 2009 high resolution (hi-rise) image of Arthur's Banyan trees.